you're actually helping us go even further! Welcome backstage behind the green screens! 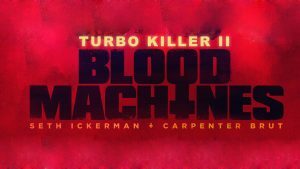 Have access to our top secret Production Diary and Updates about Blood Machines. 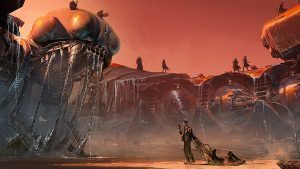 As well as tips, techniques and tutorials on how to create crazy Sci-Fi visual effects. Estimated Delivery: just a few days after the purchase. Thank you for your patience! Big Thank You on our Website! Estimated Delivery: As soon as the film is completed! 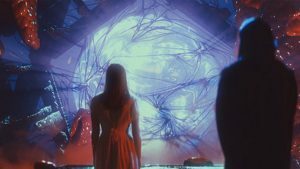 A One-Hour Skype session with the Filmmakers Seth Ickerman. 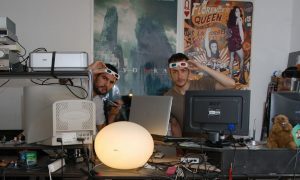 They will answer all your questions about the film, visual effects and more! A translator can be provided if needed. (Includes some of the previous Rewards). 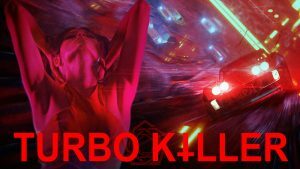 In addition to the digital download of Turbo Killer in the best quality, the prequel of Blood Machines, you will receive exclusive new contents: the director’s commentary, an unreleased making-of, unpublished Turbo Killer’s shooting photos, 4K wallpapers, and a thank you video from Noémie Stevens (the beautiful actress inside the Turbo Killer’s spaceship). Go back to your childhood with this unique HAND PAINTED MODEL of the MIMA SPACESHIP (the ship being chased by our heroes). Dimensions: 4,5 cm wide x 8 cm long x 3,8 cm high (1,8 inch x 3,1 inches x 1,5 inch). Weight: 28 grammes (1 once). It includes some of the previous Rewards. 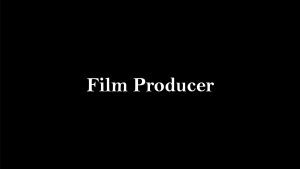 Have your name in the Opening credits as a "Very Special Contributor". Your name will be designed in a cool graphic style (Includes some of the previous Rewards). You will be credited as an Executive Producer, have your name in the opening credits (in a cool fashion!) and written somewhere in the movie. Enjoy also a day on set and a special screening with the directors. Without forgetting all the previous rewards mentioned : Special T-Shirt and Poster, Bluray/DVD, CD/Vinyl, Hardcover Artbook, the Tracy hand made model etc. The whole package! Go back to your childhood with a unique HAND PAINTED character figure of your CHOICE!Among characters (to be confirmed), you will be able to pick among: Mima, Vascan, Lago and Coré. Dimensions should be around 8-to-10 cm tall (3-to-4 inches). More definitive information will be available on our website. Include some of the previous Rewards. Go back to your childhood with the amazing HAND PAINTED MODEL of the Tracy (the heroes ‘ship). Dimensions: 10 cm wide x 12 cm long x 3,5 cm high (3,9 inches x 4,7 inches x 1,4 inch). Spaceship package! 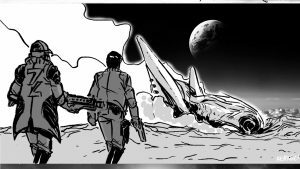 Get an exclusive piece of the set - the Tracy spaceship (our heroes' ship)! The exact piece of the set has yet to be defined, but we promise you it will be UNIQUE & AWESOME! 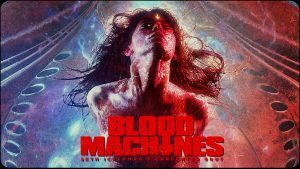 You will be officially credited as a Producer of Blood Machines.